Philanthropy is defined by Merriam-Webster as "the practice of giving money and time to help make life better for other people." However, the term can be interpreted in many ways depending on the group of people. Individual philanthropy is often driven by a deep passion. This passion might be directed towards a cause or even a desire to pass on knowledge and expertise. There are millions of others who give their time and talents to help make a difference. Something as simple as helping serve food in a soup kitchen or volunteering at a homeless shelter is considered philanthropic. Career professionals and seasoned entrepreneurs can offer seminars free of charge to attendees. Nature enthusiasts may volunteer at a local zoo, botanical gardens or Audubon society. Adults may sign up to mentor a teen. Scouting is a great example of this, but many organizations have mentoring programs. Bill and Melinda Gates Foundation - This foundation cultivates partnerships with domestic and global organizations to aid in the fight against hunger and poverty, foster advancements in science and technology to help save lives and improve post-secondary education. Walton Family Foundation, Inc. - This foundation works to improve K-12 education, the current condition of the environment and economic development, nationwide. Laura and John Arnold Foundation - This foundation focuses on criminal justice, education, evidence-based policy and innovation, research integrity, sustainable public finance and venture development initiatives. In 2014, corporate giving was a whopping $17.77 billion, according to Giving USA. However, in many corporations, philanthropy spans beyond charitable giving as corporations focus on providing hands-on assistance or useful resources to underprivileged citizens. 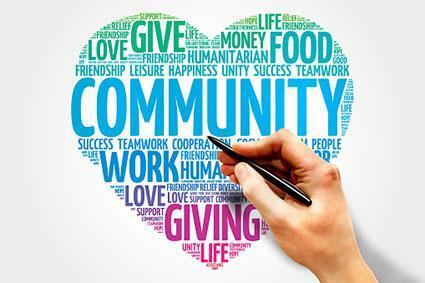 Common service-oriented philanthropic efforts span from facilitating workforce readiness programs and neighborhood clean-ups, to volunteering in homeless shelters and community centers. Scores of corporations aid in the advancement of their communities through both monetary donations and service-based foundations. In addition, select corporations have prestigious scholarship programs for underprivileged youth who excel in and out of the classroom. Virgin Unite - This foundation is committed to connecting people around the globe with entrepreneurial ideas to create opportunities for a better world. Wells Fargo Housing Foundation - This foundation works with low to moderate-income individuals to make their dreams of home ownership a reality. The Wells Fargo Housing Foundation also provides monetary support to nonprofit organizations who help these homeowners make renovations and repairs to their existing property. Dell Scholars Program - This foundation provides monetary support and educational resources to college students throughout their undergraduate journey. Target Foundation - This foundation aids in the development of the arts and cultural experiences in the Minneapolis-St. Paul community through monetary grants. In addition, public safety grants are available nationwide to help keep neighborhoods safe. Target Foundation also distributes field trip grants to schools serving grades K-12 around the nation. A quarter of the wealthiest individuals around the world listed charitable giving as a top priority. Beyond North American countries, developing countries are the most philanthropic. Men are more philanthropic than women in developed countries. Women are more philanthropic than men in emerging countries. In lieu of donating funds, select global charities focus on the advancement of communities by sending volunteers to spearhead sustainable programs in the areas of education, medicine, nutrition and disaster relief. Even if you don't have the funds to donate to a particular cause, it is still possible to demonstrate philanthropy through your time and talents. Become part of the trend to help those in need.